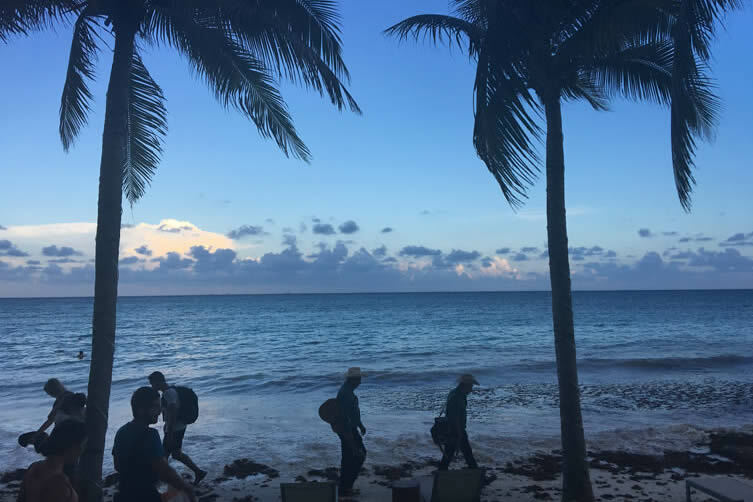 This is the tale of two city-hotel coastal outposts in a Yucatan Peninsula resort: Thompson Playa del Carmen and Thompson Beach House. 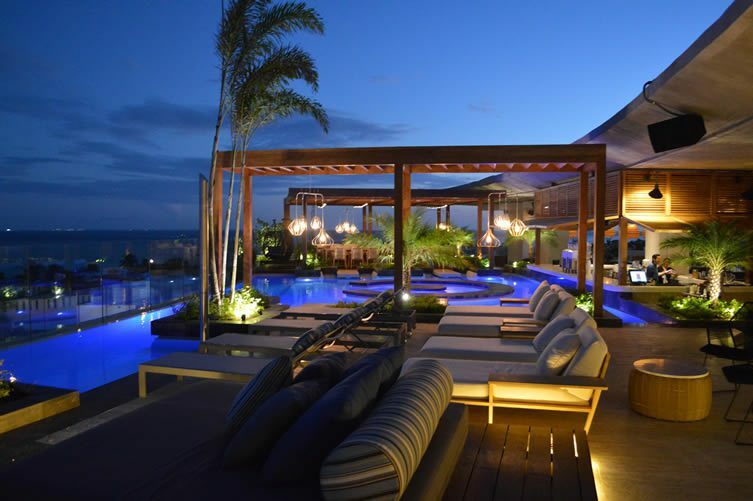 Designed by Merida-based architects Seijo Peon Arquitectos y Asociados and AS Arquitectura, with interiors styled by Niz+Chauvet, both properties feel distinctly Thompson. 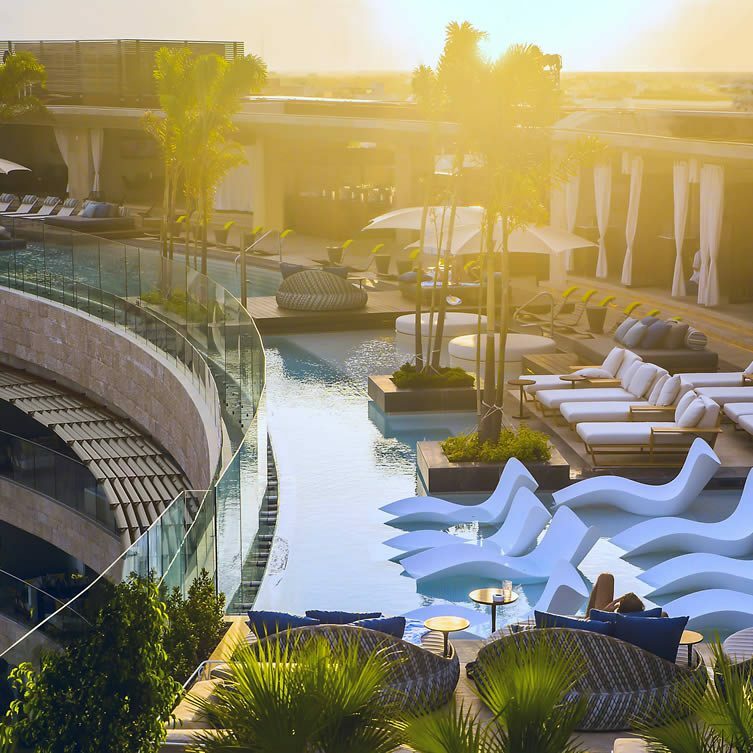 Truthfully, I’m skeptical of urban lifestyle hotel brands being transplanted to tropical resorts, but the group which has addresses in Manhattan, Toronto and Chicago, has achieved something special judging by the crowd of well-groomed New Yorkers and Mexico City cool kids at their Playa del Carmen hotels. 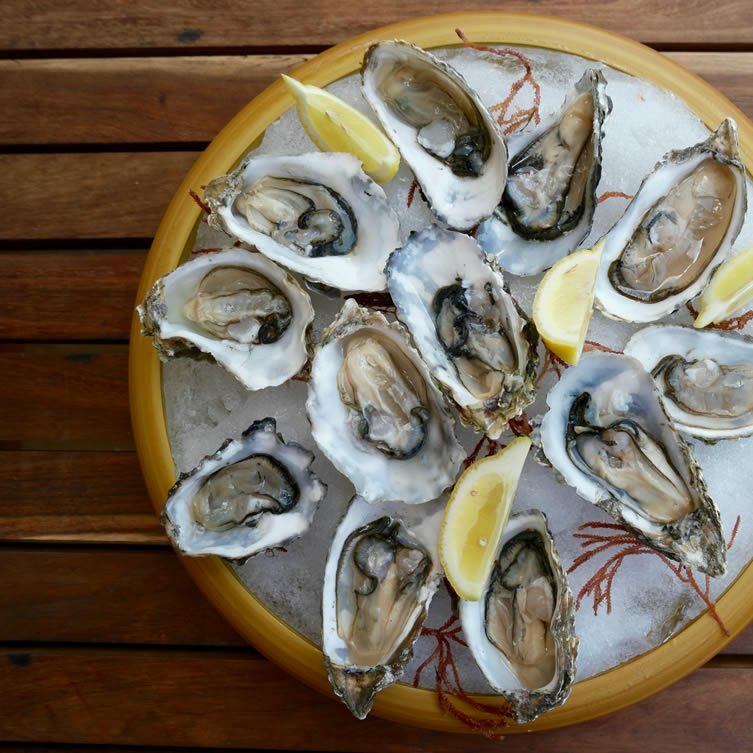 Just off Playa’s buzzing pedestrianized Fifth Avenue is the main hotel, with the Beach House only a swagger down Quinta Avenida, arm’s length from the sea. These laid-back luxury hotels are kitted out for travellers who insist on every comfort and the highest-quality amenities: flatscreen TVs, effective aircon, sleek Midcentury Modern-inspired furnishings, masterfully mixed cocktails and 24-hour room service. 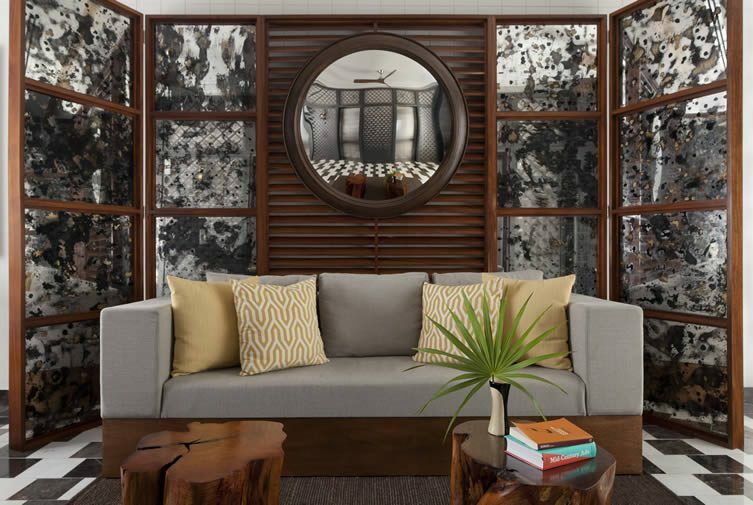 As glossy and metropolitan as Thompson is, references to Mexico have been woven into the hotel’s fabric so that both are a treat to the senses in situ. 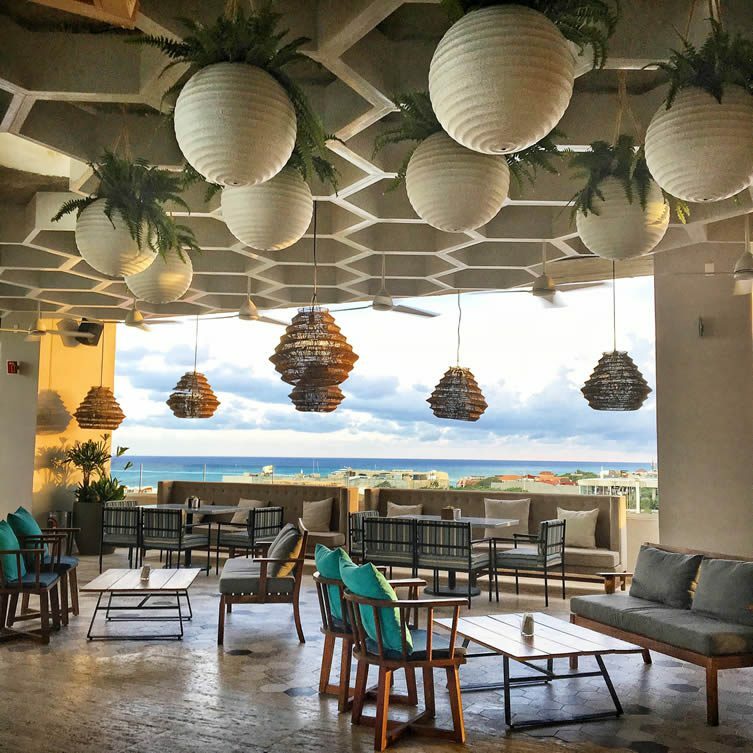 Even the lobby, playing its electronic side of indie rock, reminds folks as they arrive off the central strip of Playa del Carmen, that this is a design hotel that dares to be different. 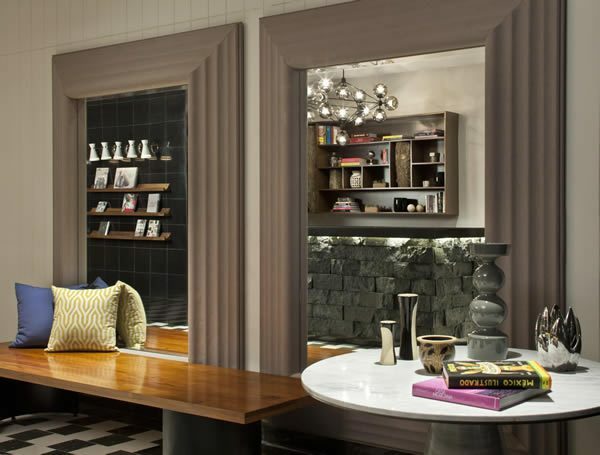 Vibrant patterns and characterful contrasting textures mean that you’re greeted by a carved lava-rock front desk in the lobby, with shelves of classics from Nietzsche to Hunter S. Thompson arranged artfully. 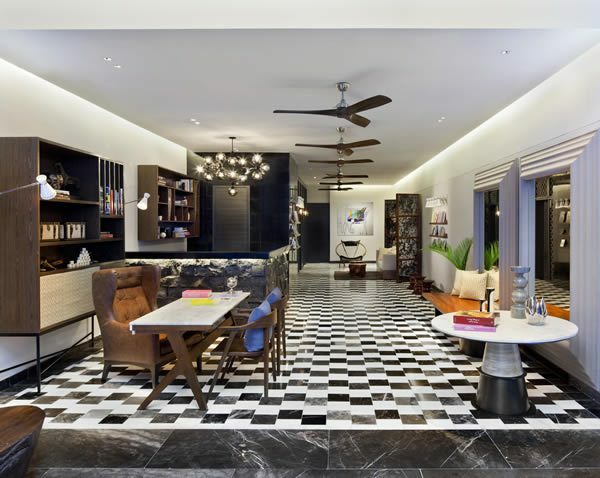 Gleaming chequered floors of Mexican marble extend to the elevators with chic encaustic tiles in the bathrooms and basket-weave pendant lamps swaying gently in the salt-kissed breeze. The charm doesn’t just come from the interior design — the warmth of all those who work at these hotels is what really gives it charisma. 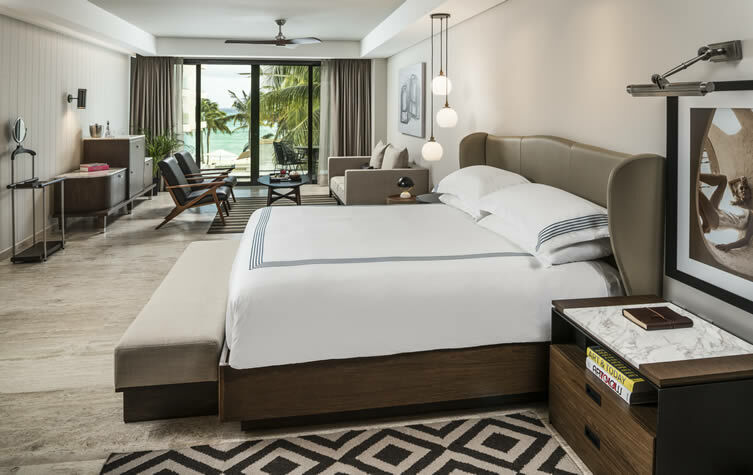 It’s no secret Playa del Carmen is built up — and the main hotel takes up the top floors of the tallest building in town (although it’s still only medium-rise by most standards). Thompson has spun this to their advantage and has taken hip luxury hospitality to the next level — literally. Head to the rooftop and there’s something exciting about this sprawling playground — thanks, in no small way, to the music. 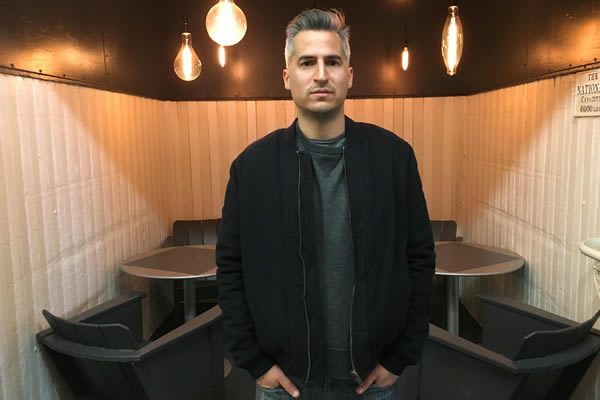 A carefully curated soundtrack is key to a youthfully spirited hotel like this and Jared Dietch is the DJ who created the playlist rich in local references from remixed sounds of the Yucatan and Latin indie rock to deep house and hip hop. Expect the beats to be booming out of the Funktion-One sound system from morning until night. 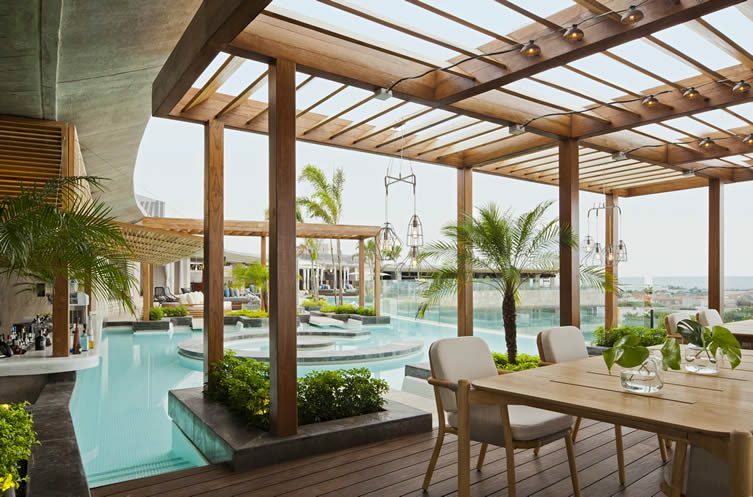 “The pool area is the highlight of the social experience at this hotel and as the energy flow of the rooftop space changes throughout the day, so does the music,” Jared explains. 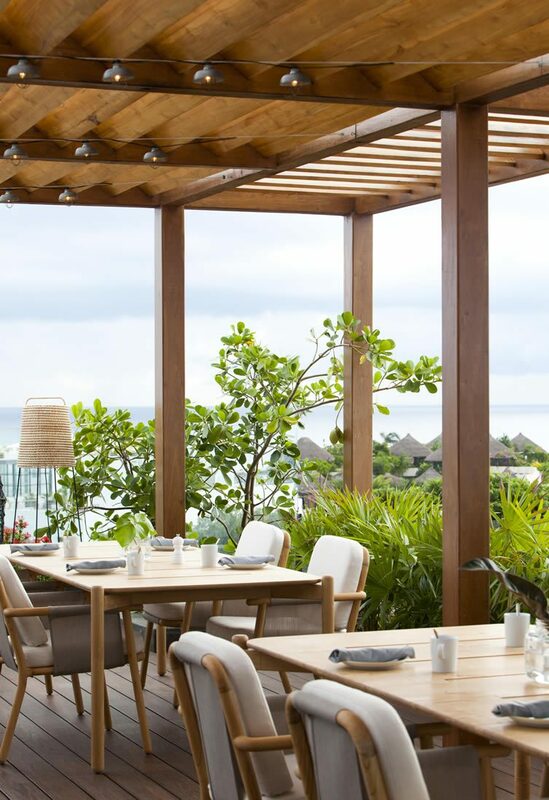 Cinco, the restaurant with a swim-up bar is where the day starts; the see-and-be-seen pool which runs the length of the terrace is the focal point until the evening when residents and discerning diners head to Catch (sister restaurant to the celebrated eatery in NYC) to experience first-class sushi, sashimi and ceviche. “You’ll hear tracks that make your ears perk up and realise this is no one-note mix,” says Jared. 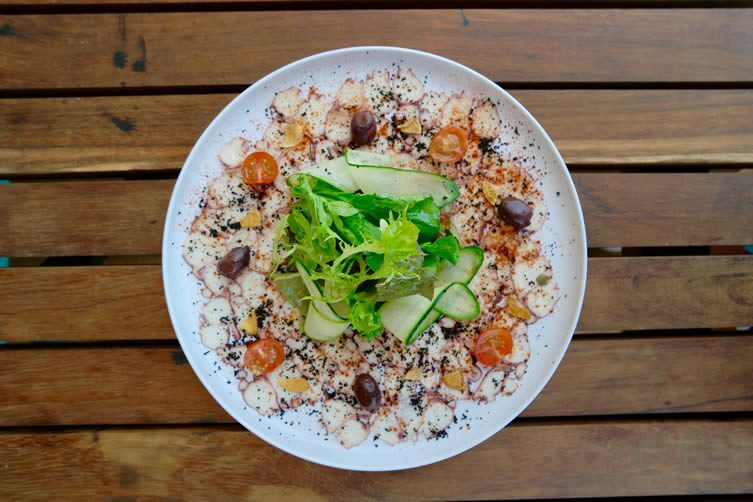 At the Beach House, the energy is very different and pulses to an “eclectic electric” playlist of NU disco, disco edits and Balearic basslines. You won’t get that down the road in the Rosewood or the Banyan Tree resorts. 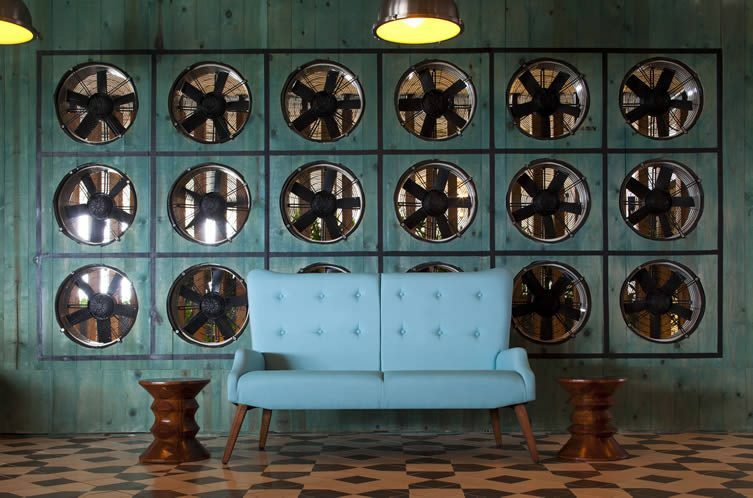 It wasn’t long ago that the only hint of properly design-conscious boutique hotels in Playa del Carmen were Deseo and Basico by Grupo Habito — the Mexico City group behind New York’s Hôtel Americano. Neither hotel exists here anymore. I remember dispatching a reviewer there for Mr & Mrs Smith back in 2010 and they reported back that it was stylish and quirky but that function definitely didn’t match form. Thankfully Thompson delivers style with substance and slick service, and these hip hotels are here to stay. 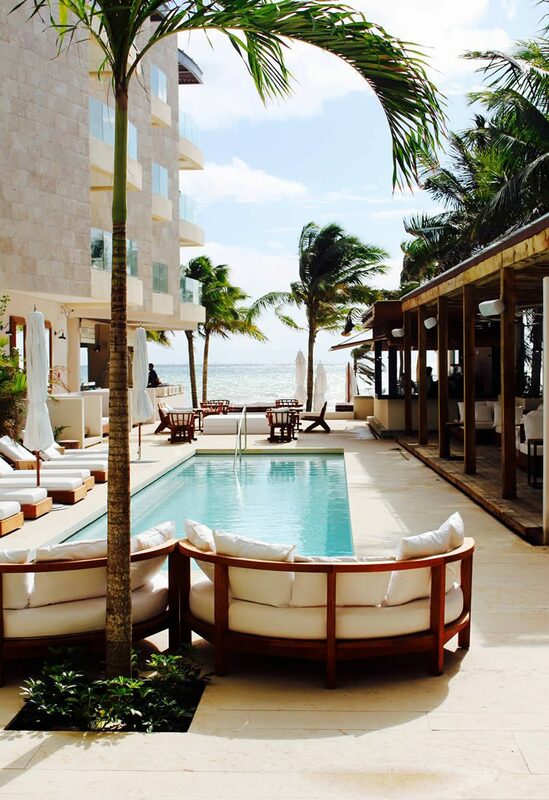 The Lowdown: Thompson Playa del Carmen and Thompson Beach House. 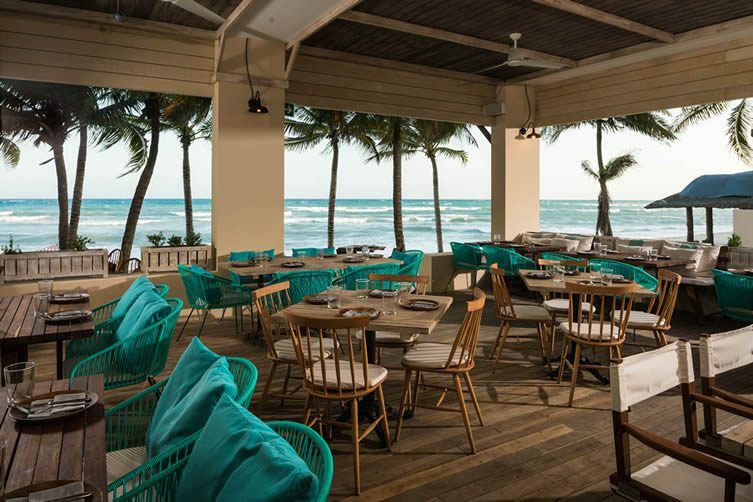 Quinta Avenida, Playa Del Carmen, Quintana Roo (+52 984 206 4800; www.thompsonhotels.com) Rooms at the main hotel from $US 220 and at the Beach House from $284. 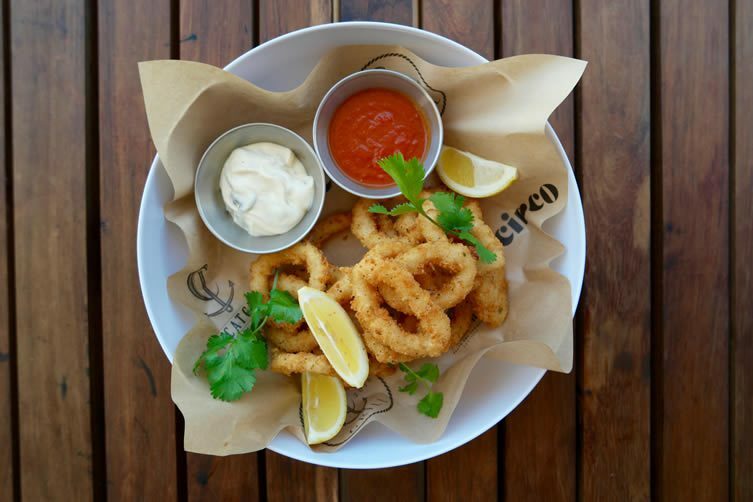 Catch Restaurant has its own seductive separate entrance — reservations at weekends essential. 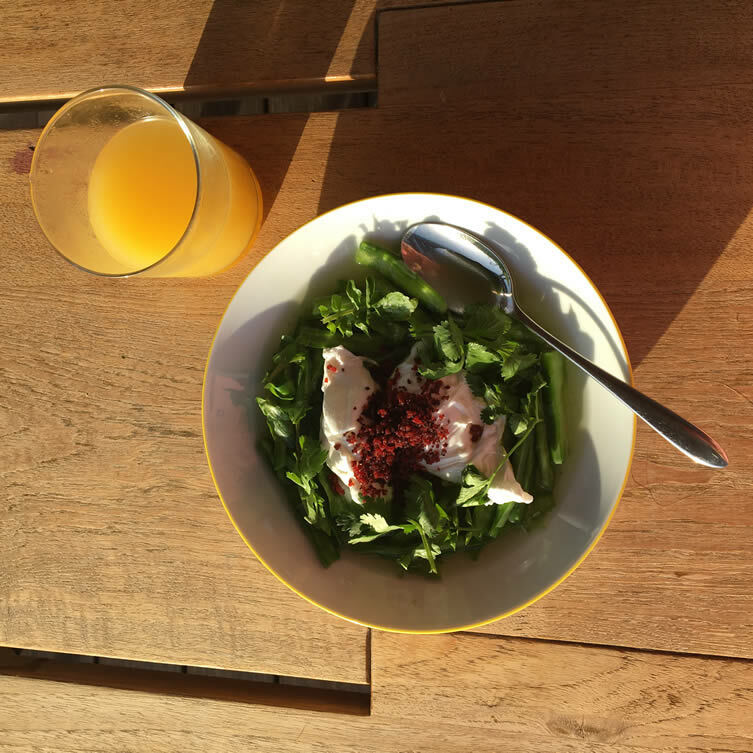 Follow Juliet Kinsman on Twitter or Instagram for first-hand travel tips and boutique-hotel inspiration.